Raytheon has teamed up with two companies to help organizations protect financial, health care and electoral systems and other critical infrastructure from cyber threats through the adoption of artificial intelligence, analytics and isolated browsers. 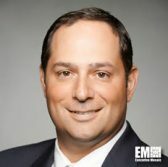 “With global critical infrastructure systems under constant attack, organizations need flexible access to the most advanced technology possible to ensure resiliency,” John DeSimone, vice president of cybersecurity and special missions at Raytheon’s intelligence, information and services business, said in a statement published Tuesday. “Partnerships with companies like Cybraics and Authentic8 help combat these cyber threats by bringing innovative tools to our mission partners through a subscription model that delivers security faster and at a lower total cost,” he added. Raytheon will provide mission partners access to Cybraics’ nLighten platform and Authentic8’s Silo browser via a cyber-as-a-service subscription. Silo is a cloud-based browser that works to isolate users from web content through web code execution in a remote secure environment, while nLighten is an AI-based tool designed to identify and alert security professionals to unknown threats and other cyber vulnerabilities.